Feel Better, Look Better, be Well, be Centered and be Fit! This handy, easy-to-use fitness journal is designed to help you stay on track with your commitment to get and stay fit. You’ll increase motivation, improve action and quickly see a daily snapshot of your workouts for five whole years of fitness. Tracking what you do in your Be Fit Journal will help keep you accountable to measure your wellness success. Develop lifetime fitness habits and use your Be FIT Journal to see from year-to-year the action you are taking to reach your health and fitness goals. Simple to use, it’s easy to see with your Be FIT Journal that you’re on the road to keeping track of your healthy habits for life! 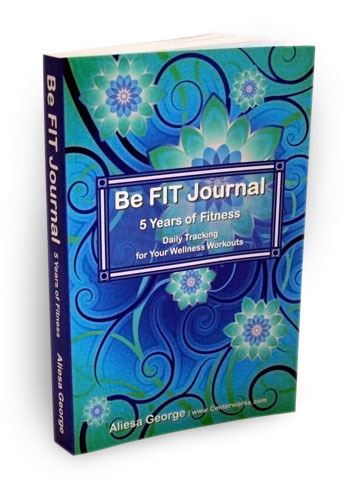 Get on the road to keeping track of your healthy habits for life with your own Be FIT Journal!